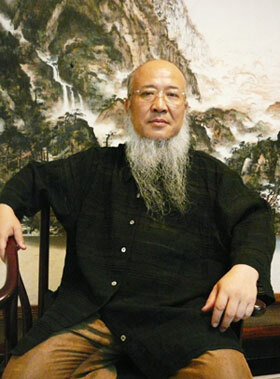 Yang Yan, famous modern Chinese master of painting, enjoys considerable influence in painting scene. 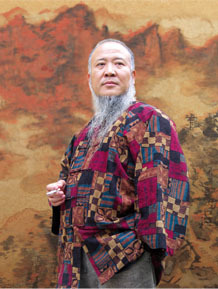 Yang Yan was born in Qinghai-Tibet Plateau in 1958. He migrated to Nanjing located in downstream area of the Changjiang River when he was two. And he has been lived in Beijing since he was 26. With great talent, he started to paint when he was three. Influenced by humanity and geographical aspects of south and north regions in many ways, his unique personality and temper were formed. He understands the importance of respecting traditions and elder masters well, and sinks in nature. He travels around the whole country and to over 50 countries in the world. Over 40 years’ accumulation, he held 20-odd personal exhibition and published 30-odd various painting albums and calligraphy albums. 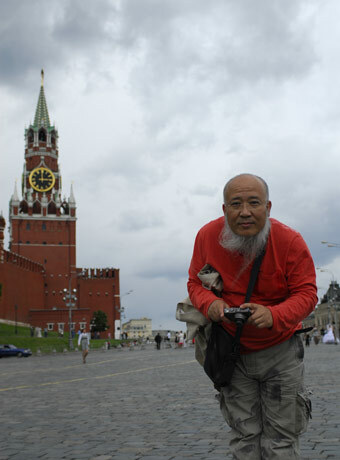 Especially, many of his large works of landscape paintings, paintings of flowers and birds and calligraphy are hanging in China Bird’s Nest Gym, Shanghai World Expo, France Louvre, VIP lounge of Beijing Railway Station, Zhongnanhai, some municipal halls, etc. and are collected by many overseas museums, organizations and individuals. 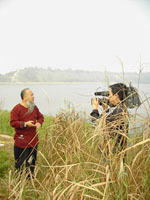 Since 1980, many special reports have been done by many overseas large media including “Sun Rises in East, Hopeful Shine of China”, “Oriental Myth”, “Wizard and Great Talent of Chinese Ink”, “north manner with south charm, ancient methods with new appearance, the style involving ancient and modern times, the meaning covering Chinese and western areas”, “Yang Yan, Skilled Inscription Board Calligrapher”, “Grand Banquet for Thinkers”, “Majestic and Grand Yang Yan”, etc. Yang Yan always insists on serious study and creation attitude, and stands for promotion of freehand brushwork spirit. In recent years, he has been exploring dynamic and static relationship between painting, music, dance and martial art, and strives to show the beauty of painting process while integrating the charm of painting, music and body language. This is bold proposal and practice to push the freehand brushwork spirit into the future. Yang Yan does as what he says. He is a person constantly bringing us happiness and joy.